Requests are being made on a daily basis. The point of the request is to ask someone for something in the hopes that it will be provided. For example, companies acquire customer requests regarding whatever products or services that they would like. 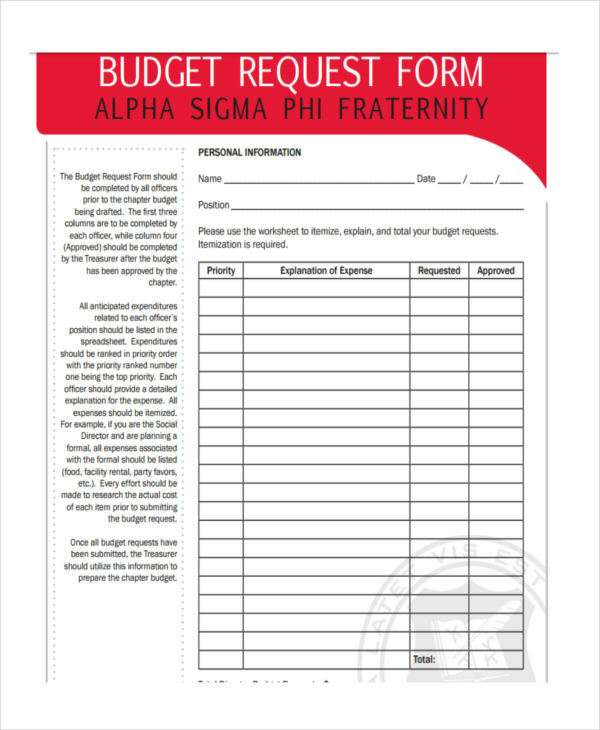 Requests can also be made internally within a company or organization. 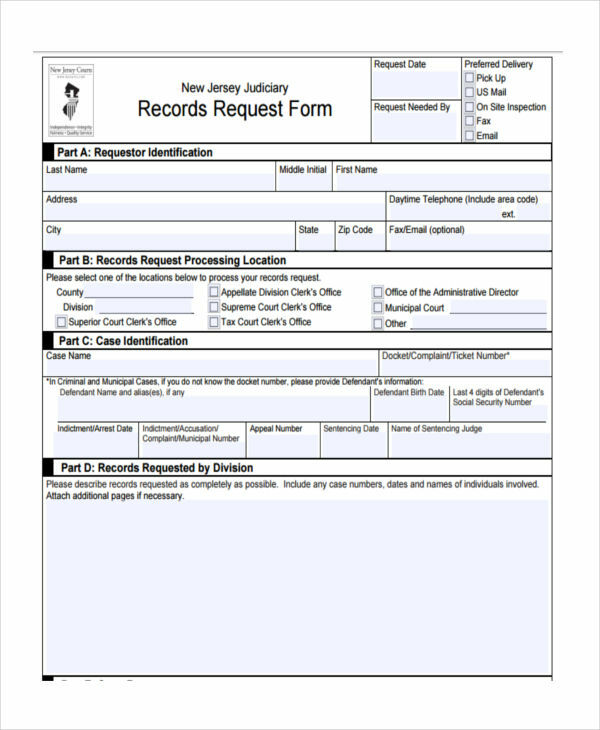 If a supervisor would like to know more about a specific employee, then that person may use information request forms to gather all the data regarding the specific employee that he or she needs to know about. To ensure that these requests are accepted, all one has to do is comply with the requirements. 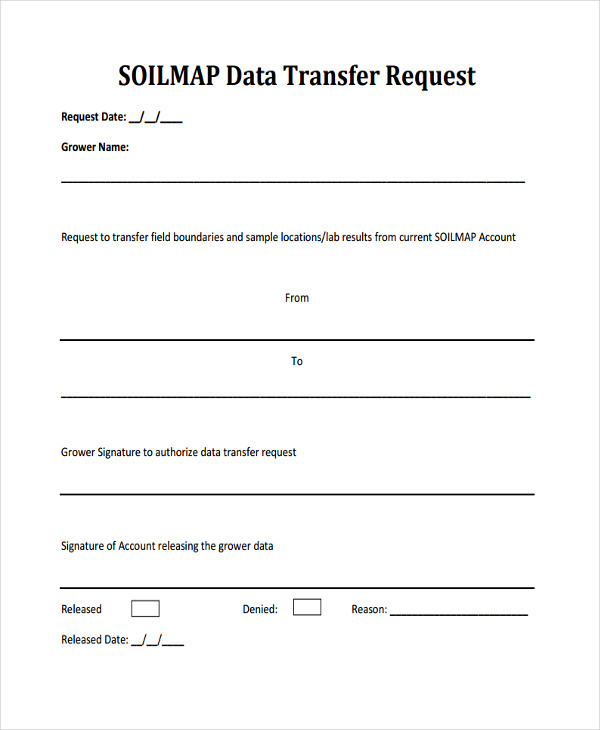 What Is a Transfer Request Form? 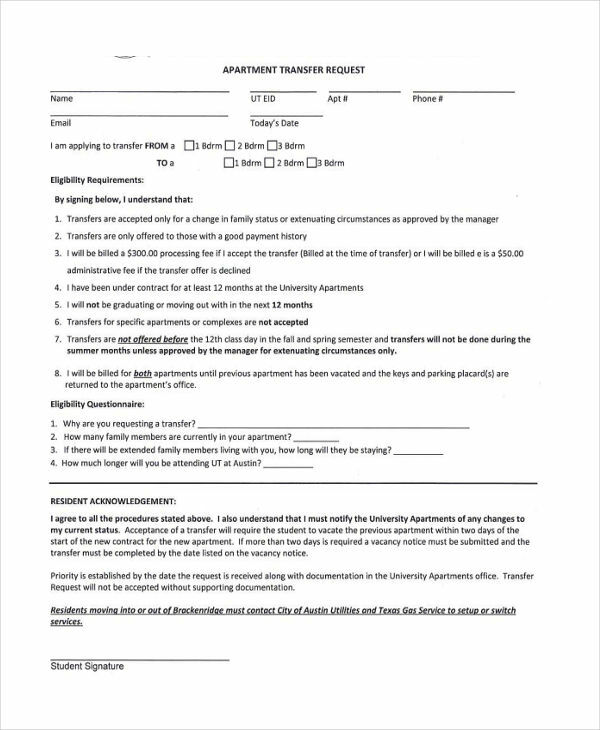 A transfer request form has multiple uses. 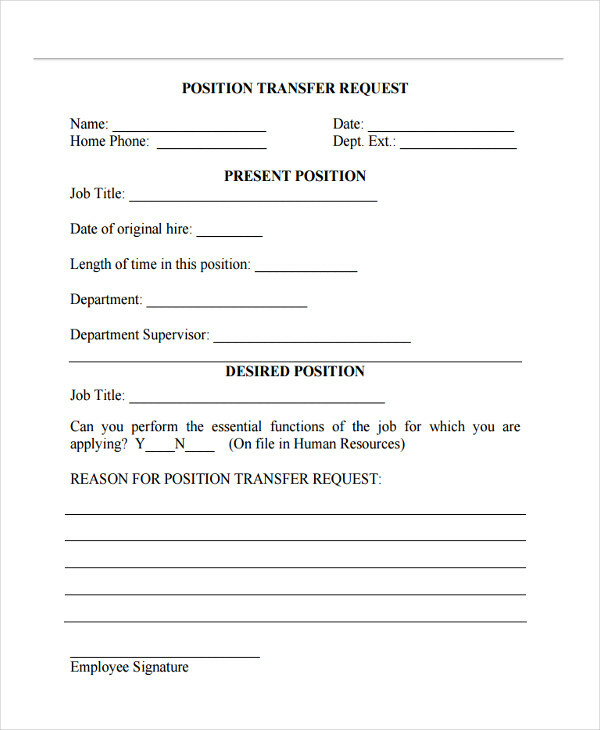 It can be used to transfer an employee from one position to another. 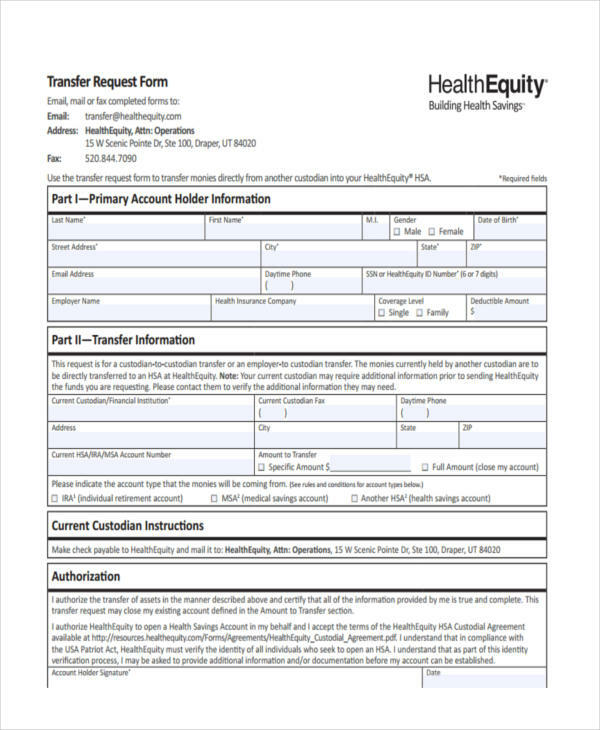 Or it can be used within the company to transfer over certain materials from one department to the next via the use of supply request forms. It can also be used to transfer all ownership rights of a certain property over to someone else. 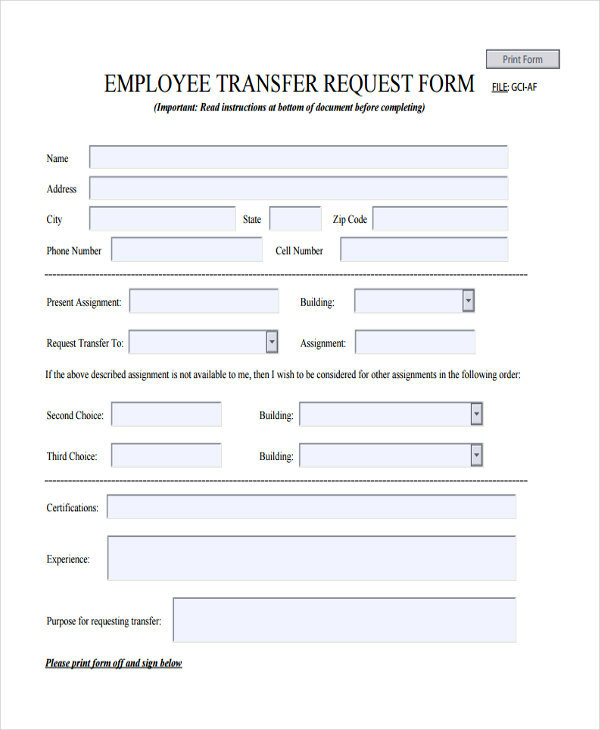 Each type of transfer request form has its own specific purpose. Which is why one must learn all about the different types in order to properly utilize them. 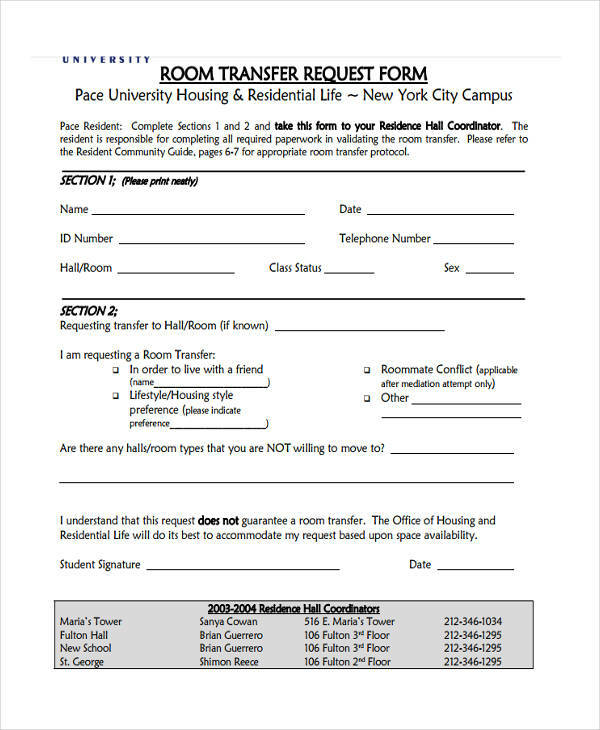 If you would like to know how to fill up other forms, such as vacation request forms that you would like to submit to your employer for a vacation leave, then check out our other request form samples. 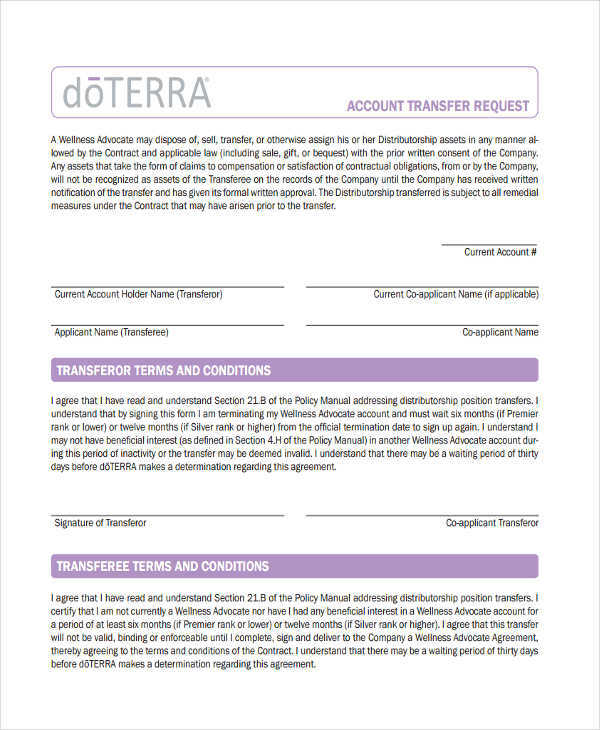 What Is a Request for a Transfer of Account? What this kind of transfer does is transfer one’s current account over to a specified recipient. 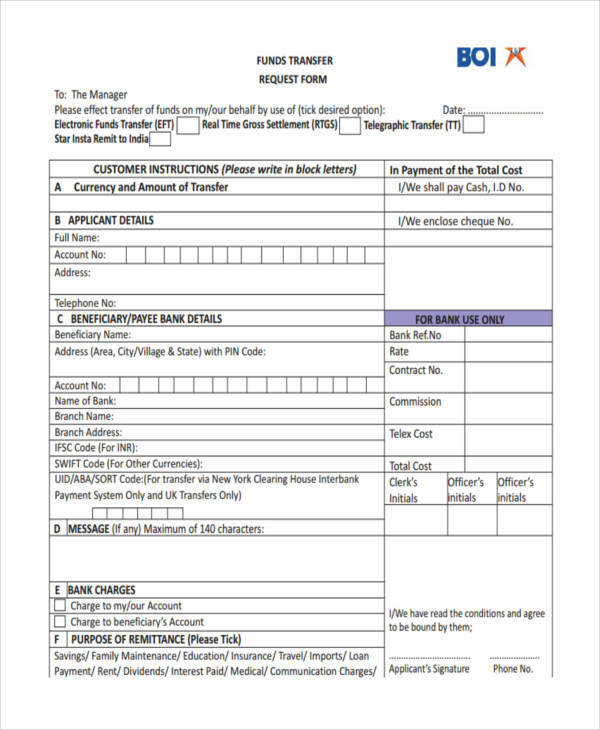 It is similar to maintenance request form wherein before it can be done, one must look into all the agreements and comply with all other requirements such as document submission before anything can take place. These are most commonly used in the event that one wishes to transfer over a bank account to another entity in which all assets will now be under the recipients name. 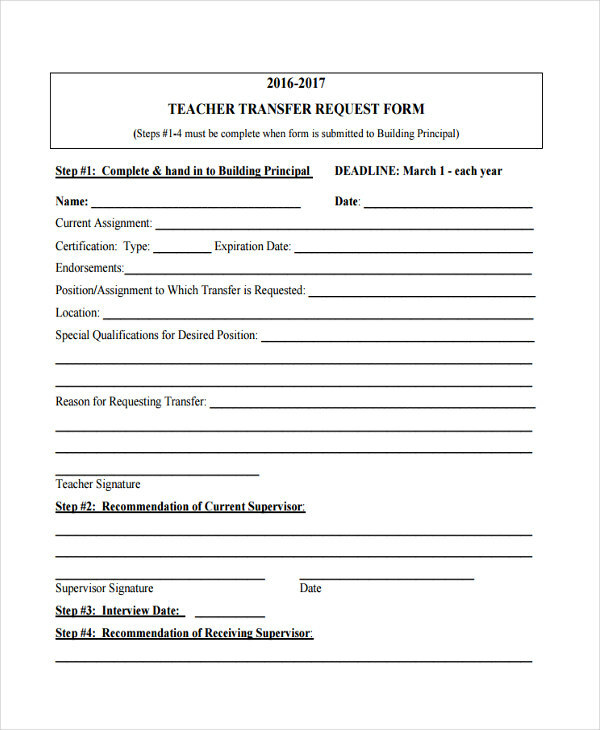 For those employees that would like to request that he or she be transferred to another department or position, then that person will need to make use the templates of any sample request forms specifically designed for employee transfers. That person must state the purpose as to why he or she would like to transfer, as well as the achievements and experiences gained under the current position. Then it is always best to provide positive comments about the employee’s supervisor, as well as all the goals that were attained. So long as the employee’s performance has gone beyond expectations, then the transfer request should be accepted.